should say: he's a perfectionist in every way, if not for the fact that it sounds at least silly, and the matter is quite serious. 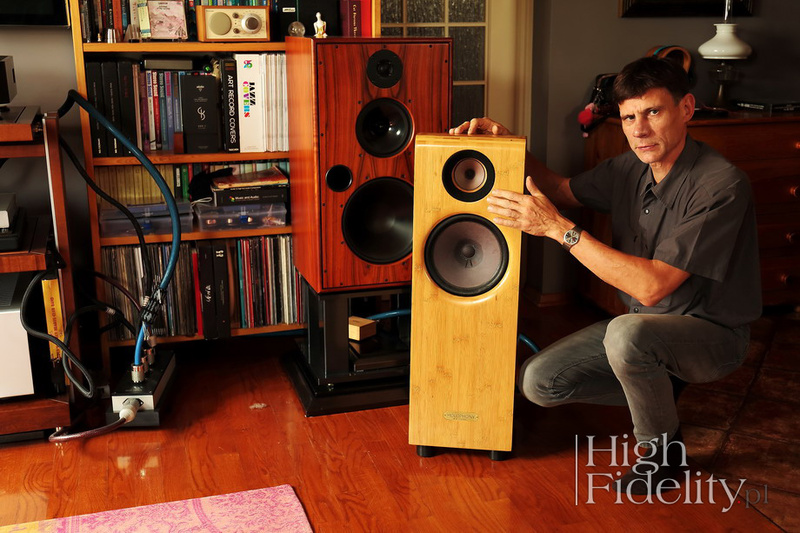 And that's because Cezariusz Andrejczuk, the designer behind the Numer 3 Bamboo loudspeakers, is an absolute perfectionist. He refines his products in a way that no other company would consider worth doing, because it takes a lot of time and money. Cezariusz does not care, because each of his products is not only a commodity to sell, but also a part of his own music system. However, I could start this text with something like this: the shape of Numer 3 Bamboo perfectly fits into the popular in the recent years trend of decorating houses in the 1950s and 1960s styles. Rounded top, bamboo plywood (ecology!) and NOS paper cone drivers perfectly matching this vision - all that results in a product that may become an object that will add splendor to the room it is placed in. And it not only looks great but also smells - Cezariusz does not use varnish on the cabinets of his speakers, because he believes that hardening the surface adversely affects the sound. The cabinets of the reviewed loudspeakers are therefore oiled. A side effect is the ease of repairing any damage and removing signs of wear. We have reviewed the Numer 3 loudspeakers in February 2017 (HF | No. 153). 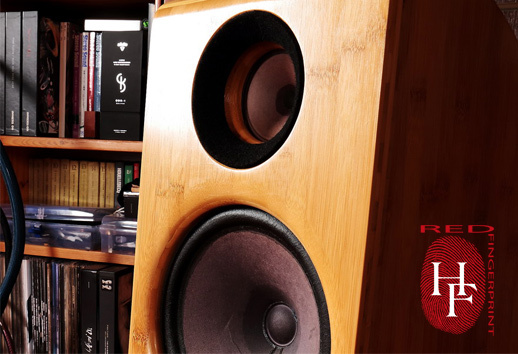 Constantly introduced corrections and upgrades have led to almost completely different in terms of electrical circuit and sonic character, loudspeakers although using exactly the same drivers as before. Both are NOS units, that is, they are new, but come from many years ago and have not been produced for a long time. Both feature conical paper diaphragms. They also feature some old-style suspensions - a 100mm tweeter a paper one, and a 250mm low-midrange woofer made of rubberized canvas. 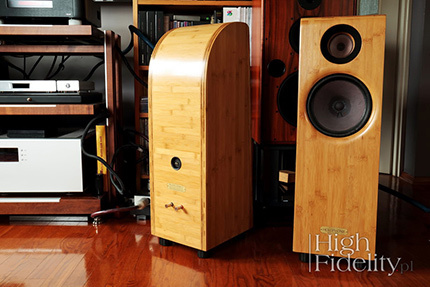 Number 3 Bamboo is a two-way design with a bass-reflex cabinet, with port placed on the rear panel. It is actually closed with plugs, which - if we want to deepen the bass a bit - we can take out. However, Cezariusz believes that in this way we are deteriorating the impulse response, and thus the sound. To improve precision designer used four feet to decouple speakers from the floor. These are magnetic-ball feet with cork washers. The crossover is extremely minimalist. It took the designer several years to get to this solution; there are only two elements in it: a coil and a capacitor. There is no resistor for the tweeter, which reminded me of the extraordinary Extrema model from Sonus faber. The cross-over in these speakers is enclosed in a separate box inside the cabinet, and the former is decoupled from the latter. In order for such a reduction to succeed at all, both elements are selected with a precision which one could consider an "exaggeration" if not for the sonic effects: these loudspeakers are extremely resolving and each, even a slight inaccuracy results in a deterioration of the sound reproduction. The second element that Cezariusz pays great attention to is the source of the signal. According to him, the Compact Disc is a very poor medium, and the only digital source that makes sense are high-resolution files, especially the DSD ones, that he believes sound particularly natural. He is a fan of simple, even purist recordings and has a dream - to build a small recording room based on his own ideas. Suffice to say, concerts in churches interest him only if he can sit in the first row, where nothing stands in the way between him and the instruments. If there is no such place available - he leaves. Anyway - the most important source of signal are for him DSD files. I have a different opinion on this subject. I am not a dogmatic, though, so during the test I mostly used the Ayon Audio NW-T DSD transport. This is a special device, because it sends a signal not only with a USB output - considered by many professionals to be a bottleneck of computer audio - but also via a professional 3 x BNC link. I benefited from the fact that the Ayon CD-35 HF SACD player features such an input. The DSD signal is transmitted without changes and manipulations in the "direct" mode. In addition, I also listened to SACDs and high resolution PCM files. Cezariusz' uncompromising approach to his designs becomes obvious already after the first few seconds of listening to his speakers, especially to this particular model. Far from the universality and having a clear "own sound" loudspeakers Number 3 Bamboo within the assumed goal are unbelievable.